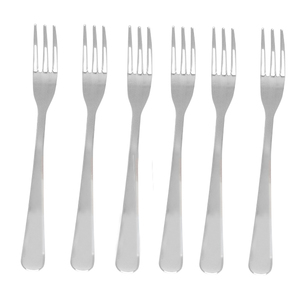 The hors d'oeuvre/dessert fork is used for different starters as well as all kinds of desserts. Set of six. Each measures 5"/13cm. Stainless steel with a mirror finish. Hand washing recommended.